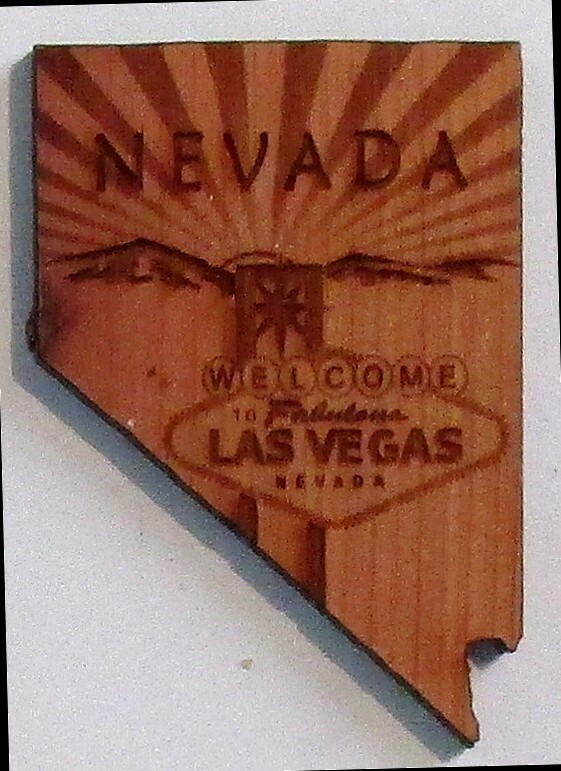 Las Vegas Welcome Magnet ? These magnets are crafted out of Utah Red Cedar wood. A laser beam is used to precisely carve details out of wood. These magnets are exclusively produced in the U.S., other magnets are imported from foreign countries. Not only that, we make them close to where they are used/bought, in beautiful, and very unique, Utah. No one and no company even comes close to making these the way we do. Our quality and workmanship is unsurpassed.